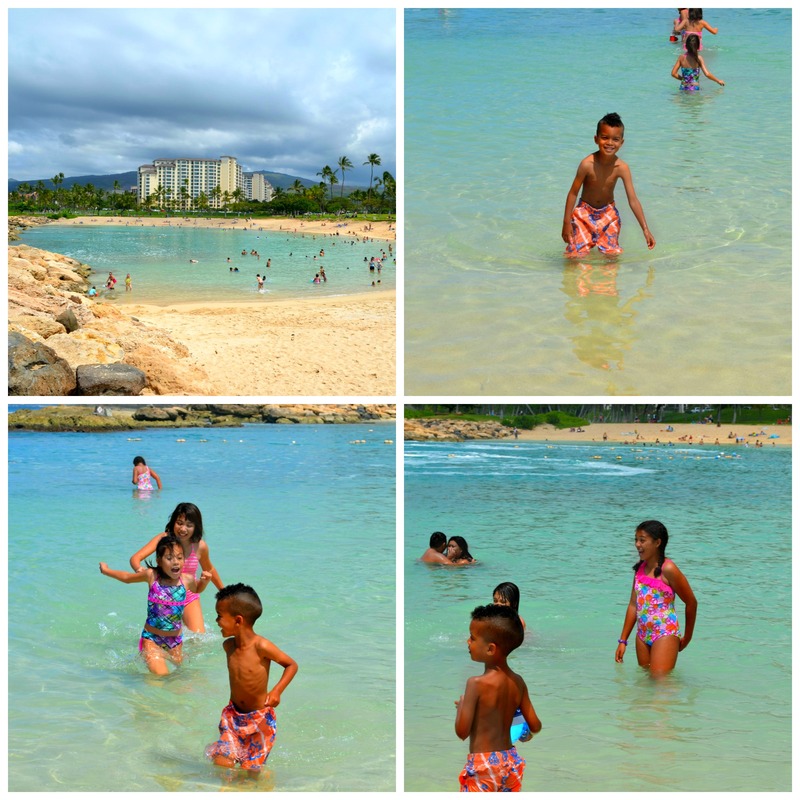 Well the kids are finally back in school for their two day school week, but I wanted to share some more of our fun Spring Break adventures… On Monday we hit up Ko’Olina Lagoon, specifically #4 near the marina. These lagoons are all man made but it makes for some great swimming for the kids. The water is nice and calm and there is a nice reef right outside the lagoon to keep the critters out. Unsuccessfully, there was a 4 foot reef shark spotted in here last week! No sharks for us, we did get a quick glance of a honu or green sea turtle. He was too fast for me to snap a picture. Yes the water is really that beautifully clear. And it was hot and sunny the entire time we were there, getting updates from all our Honolulu friends who were getting a downpour and my Virginia family who was getting snow! Shortly after I took the picture of our beach site I got reprimanded for having a tent up. I forgot that I am not too fond of this beach. Lots of rules, no umbrellas or tents, which is crazy because this is over on the west side which is the hottest side of the island! 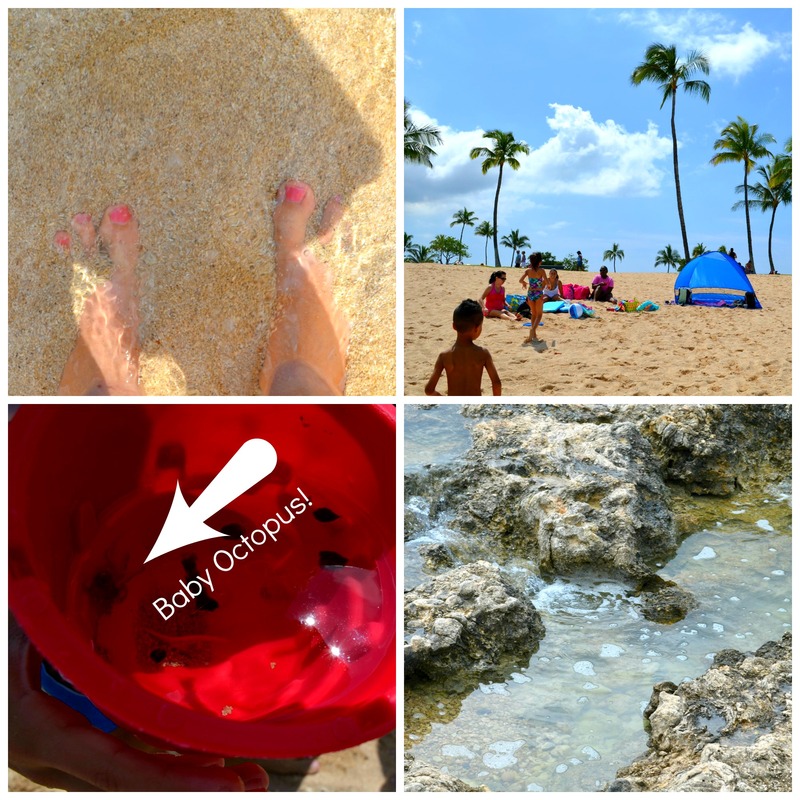 We did get to glimpse the cutest baby octopus ever! I don’t know how they even saw him in the water! Living here is pretty dreamy! Nice toes! I would want to lie on a raft all day – but probably would be thrown out! Leave it to you to get yelled at…you’re not a rowdy red neck, ha! This sounds like a great day! This is the ONLY beach we’ve ever dealt with this. Every other beach on island you shouldn’t have a problem!